Ray & Rafa Lawn Care, Co. Comment: I have a small lot. I need snow removal for my front steps and the sidewalks in front and the side of the house leading to the alley. Comment: Getting quotes for potential snow removal contract on a 2-flat building. Comment: Snow removal from my two-flat -- I would appreciate a quote asap for calculating rental expense -- I would begin service in the fall -- if you are a landscaping company, I may use you for lawn service as well. Chicago Snow Removal Services are rated 4.52 out of 5 based on 138 reviews of 24 pros. 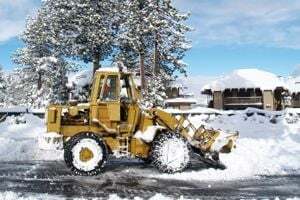 Not Looking for Snow Removal Service Contractors in Chicago, IL?